have a density similar to wood. are extruded to your specifications. alternative to many material types. Crescent Plastics has extensive experience in developing foamed plastics for thermoplastic extrusion applications. We have developed a process to produce lightweight, high strength custom extrusions from foam using various extrusion materials—including HIPS, ABS, PVC, HDPE, and reprocessed foam plastic materials. 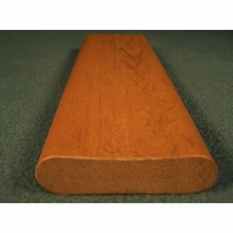 With a density similar to wood, parts produced from this thermoplastic extrusion process can be given a wood grain appearance and used as an effective, low-cost wood replacement. 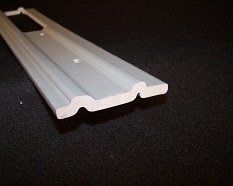 Request a quote or contact Crescent Plastics to discuss custom foam profiles and custom extrusions for your project. 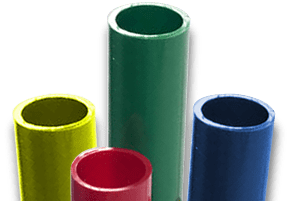 Our custom foam profiles for thermoplastic extrusions are perfect for applications that require lightweight parts with strength and durability, such as point of purchase displays, molding, frames, and structural members. Using foamed plastic parts for thermoplastic extrusion applications can provide product enhancement at an affordable cost. Our experts will guide you through the process of creating custom foam profiles and plastic extrusion shapes and answer any questions that may help facilitate your needs. Crescent Plastics provides custom extrusions, and plastic extrusion shapes made to your specifications. We offer no “stock” or “off the shelf” products—everything we do is custom. If you need custom foam profiles, we can meet your needs with efficient, high volume thermoplastic extrusion processes. Crescent Plastics has over 65 years of design and production experience and have proven ourselves as innovators in the field of thermoplastic extrusion. 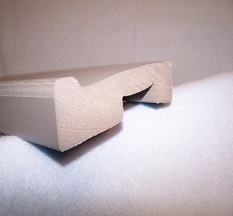 Request a quote or contact us for the custom foam profiles you need.